One way of assessing the political implications of the unrest in Turkey, which has entered its fifteenth day, is to look at what opinion polling has to say. Politicians, reporters and foreign observers alike are all keen to know how the events have affected how the country intends to vote. We may now have the results of the first serious attempt at polling in the last two weeks. They show a significant narrowing of the gap between the governing AK party and the opposition CHP. The headline figure (with changes from Gezici’s last poll in May) is AKP 38.5% (-3.2), CHP 31.8 (+3.6), MHP 18.5 (-1), BDP 8.2 (-0.9). Murat Gezici, whose eponymous company conducted the opinion poll, says the result is partially a reaction to Turkey’s street unrest, but not entirely. He points to surveys he conducted in May and in previous months to argue there has been a latent feeling of anger among significant parts of the population. The Gezici argument is that the anger stems from a number of unpopular government policies: the recent alcohol legislation, which has fostered a feeling that freedoms are being restricted; the Kurdish peace process, which is seen by some as direct negotiation with terrorists; and Syria, where the perception is that the that Prime Minister Recep Tayyip Erdoğan is leading his country towards war. Is this the beginning of the CHP’s steady march towards government? Woah, hold your horses. See my analysis from last year which uses the last poll showing a CHP lead to demonstrate how entrenched AK is, particularly in central Anatolia. 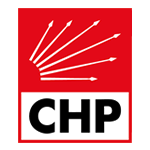 Is this a significant result for the CHP? Possibly, but it should not be exaggerated. As it stands, this is one poll conducted by one polling company. If there is a movement of support away from AK and towards the CHP, this should appear in other results, irrespective of whether the headline figures appear favourable for one party or another. I thought you’d never ask. As with all polling that comes out of Turkey, it is never easy to establish who paid for the polling and where the owner’s loyalties might rest, meaning that extra caution is required. This Gezici survey does ask some rather leading questions in which it could be argued the respondent is being coaxed towards one answer. In one, participants were asked “Do you think the restrictions introduced on alcohol represent a battle against alcoholic drinks or an intervention in people’s way of life?” 62.1 percent opted for the latter. Another question asked “Would an executive presidency in Turkey lead to dictatorship, a single leader and authoritarian rule?”. 82.9 percent said yes. However, Gezici asked the same question in May, when 75.8 said yes. Gezici Araştırma spoke face-to-face with 3278 men and women in cities, towns and villages across 36 Turkish provinces on 1 and 2 June 2013. In selecting its sample, Gezici used what it calls a “multistage – stratified – random method” and a gender and age quota.